Far from being “over the hill,” 40 is just the beginning. This milestone age often comes with greater knowledge, more financial stability and plenty of friends and family to celebrate with. Use these ideas to make your loved one’s 40th birthday party unforgettable. Old “School” - Ask guests to dress in gear or school colors from the birthday guy or gal’s high school or college, and throw a mini “pep rally”-style soiree. Decorate with school colors and lots of school-aged photos of your friend. 1940s Party - Focus on big band music and posters from movies like “Casablanca,” or even give a nod to World War II with patriotic decor. Have the ladies put their hair in pin curls or bandanas a la Rosie the Riveter, and encourage gentlemen to don zoot suits and fedoras. Serve retro drinks like soda in glass bottles. Over the Hill - Sure it’s cliché, but black balloons and “over the hill” jokes are classics for a reason. Have guests dress in black and decorate with black streamers and the like, but be sure to keep most elements of the party light — like a funny slideshow of pictures honoring the birthday guy or gal. Helping Hand - Maybe the guest of honor is a little self-conscious about the big day, but you know they’d love to give back. Plan an afternoon of volunteering with a cause that’s near and dear to his or her heart. You can also accept donations in lieu of gifts at a party. Genius Tip: Start with these 65 volunteer opportunities and ideas. Casino Night - Ask guests to dress up for a night of gaming and put on a casino night. Pick games that are fun and easy to explain (poker and craps are good options) and serve cocktails and finger foods while guests play. Decades - Plan your party with decor and music from the guest of honor’s birth decade. Ask partygoers to dress in throwback clothes and enjoy food and drinks that were popular back in the day. Backyard BBQ - Keep it casual and fun with an old-fashioned cookout in the backyard. Decorate with red and white gingham table cloths, mason jars and twinkly lights. Genius Tip: Try these 20 games for your backyard party. Disney Days - Is the guest of honor a big Disney fan? Invite guests to dress as their favorite Disney characters, and award a prize for the most creative or most realistic. This fun theme can hearken back to an elementary-age party. Bonus if you have pictures of the guest of honor celebrating in Disney style decades earlier. Nothing is Scarier than 40 - Host a horror-themed bash where guests dress as zombies and you serve “finger” food like butter cookies with a slivered almond “nail” on the end. Break into your Halloween decorations for ambiance: fake cobwebs, biohazard signs and the like will lend a creepy air to your event. “Old” Hollywood - For this star-studded event, ask guests to dress as their favorite celebrity who is 40 or older. Decorate with Hollywood-style props — Oscar award statues, film reels and directors’ chairs. Serve champagne and show movies starring 40-year-old Hollywood icons. Bowled Over - For a nostalgic twist, shine up your bowling ball and head to the local lanes with the birthday guy or gal and friends. Talk to the manager about food and drink specials and reserve several lanes next to each other in advance. Old Stomping Grounds - Take your party to your guest of honor’s favorite restaurant from way back when — if it’s still around. If not, recreate it at a different location with old photos, decor and recipes that will remind the birthday guy or gal of the good ole days. Roller Rink - Throw it back to childhood with a roller-skating party. Rent a party room to serve snacks and drinks, and giggle when the birthday guest and crew fall all over their 40-year-old feet. Tailgate - Relive your friend’s younger days with a tailgate at a sporting event at her high school or college. Serve tailgate fare like burgers, hotdogs and cold beverages. Paint your face and cheer for the home team! Genius Tip: Try these 20 winning tailgate tips. Vineyard - Bring your group to a nearby vineyard or wine bar where everyone can sample several varieties of vino. Bonus points if you can get a glass of the vintage from the guest of honor’s birth year. Plus, think of the puns! Birthday Cruise - If you’re near a body of water, take your group on the high seas for a 40th birthday cruise. Many companies provide refreshments, but if not, find out the boat’s policy on bringing snacks and drinks for your crew. If you’re feeling silly, have guests dress as pirates or in nautical ensembles. Escape Room - Your party guests will bond over strategies to escape from a room in one of these trendy team-building places. Ask about serving food and drinks before or after the daring “escape,” and award a prize to the group that gets out fastest. Arcade - Nothing stirs up nostalgia quite like the old arcade. With far more options than their older counterparts, today’s gaming centers feature modern and retro games, cold beverages and cuisine far more palatable than days of old. If you’re really competitive, set up an elimination-style tournament with prizes. Take a Trip - If your party group is small and close-knit, consider taking the party out of town. Whether you want to drive, fly or hit the ocean on a cruise, a destination 40th birthday party is sure to be something none of the guests will forget any time soon. Hometown Favorites - Why settle for one location when you can travel around town? 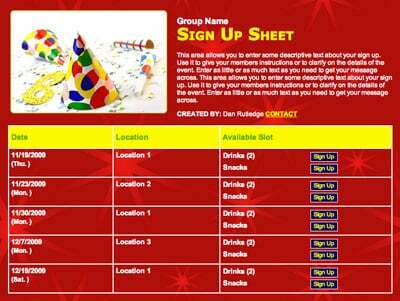 Break into a couple of teams with a scavenger hunt list featuring clues about the birthday boy or girl’s favorite places. The first team to check all the items off the list — and meet at the guest of honor’s favorite restaurant — wins. Dictionary Descriptors - Buy a nice, hardcover dictionary and instruct guests to highlight a word or words that describe their friend. Put small bookmarks on each page so the words are easy to find. 40 Reasons Why - Set up a chalkboard, scrapbook or other memento where partygoers can list 40 reasons they love the birthday guy or gal. Snail Mail - Give guests pre-addressed and stamped postcards (or send them to guests ahead of time) and have them write advice or a sweet note be mailed to the guest of honor during the 40 days before or after his/her birthday. Photo Booth - Hire a photo booth company or set one up yourself — all you need is a camera (or phone) and props like silly hats, feather boas and chalkboards to write funny messages. The photos taken at the party will give the birthday girl something to smile about for the next 40 years. Older or Younger - Show party guests pictures of various celebrities and have them guess whether the person is older or younger than 40. Keep score, and give the winner a prize. Board Games - Bring several of the birthday guy or gal’s favorite childhood board games, and have guests compete tournament-style. 40s Bingo - Try a couple of variations of this popular game. Create one set of cards that include a list of the guest of honor’s favorite things and another one that’s more humorous — think items they’ll need more of as they age, like aspirin after their beloved Saturday boot camp sessions. “Bucket List” Ideas - Have guests write ideas for the birthday guy or gal to complete before the next milestone (turning 50, turning 80 … your choice). For a fun twist, have them write the ideas on an actual bucket, which you can fill with ice and use to serve cold drinks. 40 Years of Trivia - Conspire with your friend’s family to gather 40 pieces of trivia — favorite color, favorite food, make and model of his/her first car, etc. Then have guests try to guess the correct answer. Whoever gets the most correct wins a prize. Video Scavenger Hunt - Divide your group into teams and have each team record themselves doing things from a list of tasks unbecoming of a 40-year-old, such as walking around town in a princess costume, riding a kid’s ride at the front of the supermarket and the like. The first team that does every task on the list wins a prize. Memory Cards - In the weeks before the party, have friends and family hand-write letters about when they met the birthday girl or guy, a silly story from childhood or some other memory looking back on the person’s 40 years of life. Package the cards together in a cute bundle and present them at the party. 40 Years of Photos - Get with friends and family of the guest of honor to collect lots of photos from childhood through adult life. Display photos in a scrapbook, frames around the venue or shape them into the number 40 in a prominent location. Sentimental Snacks - Serve the guest of honor’s favorite foods from childhood. (If you can find them!) If they’re tough to track down, find recipes online to create a close copy. Cover Band - Hire a band that performs covers of music that was popular when your friend was a youngster. See if your group still remembers all the words to their favorite jams, and ask the band to bring the guest of honor on stage. #ThrowbackThursday - If your crew is social media savvy, post throwback photos of the birthday guy or gal every Thursday in the weeks leading up to the party. Encourage others to post their memories in the comments section. Matching Shirts - Does your birthday gal have a catchphrase? A famous photo to blow up? Make T-shirts for guests so your group is easy to spot and keep together, particularly if your venue is a popular joint. Genius Tip: Gather extra information such as T-shirt size for guests with custom questions on a sign up. Magic Man - Magicians aren’t just for kids’ parties. Hire a local illusionist to put on a show for your group — it’ll take them back to childhood. Tell the magician ahead of time this is for a 40th birthday to see if he or she can tailor any tricks to the party’s theme. Favorite Shows - Have a television or projector screen at your party that will exclusively play episodes from your guest of honor’s favorite show from back in the day. Name that Tune - Play songs from the birthday girl or guy’s heyday and award prizes to guests who guess the title of the song correctly before everyone else. 40 Years of Faces - Find several photos of the guest of honor through the years and blow up the faces until they are mask-sized so guests can hold them up over their own faces. Make it a game where partygoers guess their friend’s age in each photo. However you decide to party, make sure the event is about the guest of honor — not just his or her age. That will ensure a party that’s fun and memorable for everyone.